(Bloomberg) -- The father of a pregnant woman killed by shrapnel from an airbag that deployed during an auto accident in Malaysia sued Takata Corp. and Honda Motor Co. in the U.S.
Law Suk Leh, 42, died when a metal fragment sliced into her neck in the July 2014 low-speed crash, according to the lawsuit filed Thursday in Miami federal court. Her daughter, delivered after the mother’s death, died three days later. 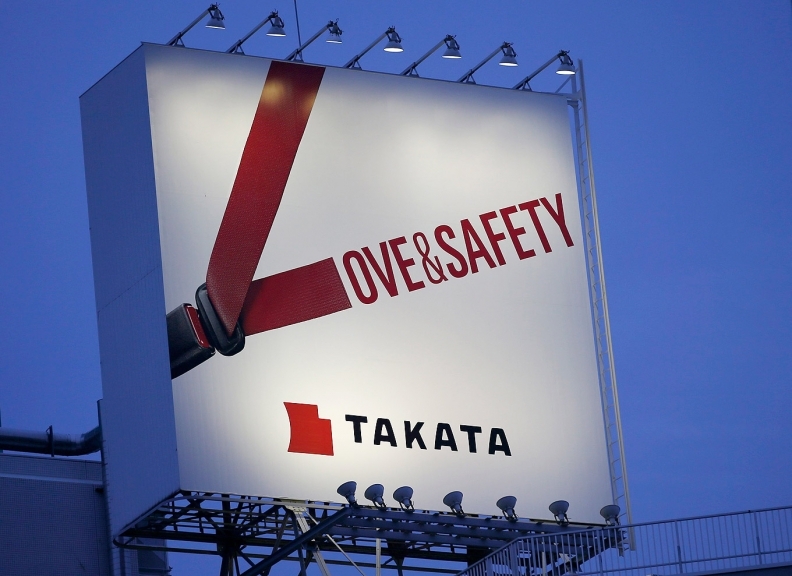 Ten automakers, including Honda and Toyota Motor Corp., have recalled since 2008 about 24 million vehicles globally with Takata airbags, according to Reuters estimates. The National Highway Traffic Safety Administration has said the airbags’ inflators may malfunction if exposed to consistently high humidity, deploying with too much force and shooting metal pieces into drivers and passengers. Leh’s death is one of six, including five in the U.S., blamed on shrapnel expelled through Takata airbags. At least 105 injuries are connected to the flaw, U.S. Sen. Bill Nelson, D-Fla., said Monday. Chris Martin, a Honda spokesman, and Jared Levy, a Takata spokesman, declined to comment on the lawsuit. Law Ngee Chiong, Leh’s father, sued in the U.S. because “the defective inflator at issue” was made in LaGrange, Ga., attorney Kevin Dean said in an interview. He sued on behalf of her estate and the estate of his granddaughter. Leh, who was driving a 2003 Honda City on Borneo Island in Malaysia on July 27, was traveling at about 20 miles (30 kilometers) an hour when she was hit by another vehicle at an intersection, according to the lawsuit. She died in an ambulance on the way to a hospital, according to the suit. Leh was survived by a 10-year-old son, Dean said. Chiong’s lawsuit has been combined with about two dozen airbag personal-injury and death claims before U.S. District Judge Federico Moreno in Miami for pretrial rulings and evidence-gathering. Attorneys in these cases filed a combined complaint Thursday claiming Takata, Honda and others hid airbag defects for years. Class actions against Takata, Honda and multiple automakers claiming loss of vehicle value tied to the recalls are also combined before Moreno in Miami. The car owners’ lawyers also filed a combined complaint on Thursday, contending the companies concealed quality problems and inflated the cost of cars and trucks.